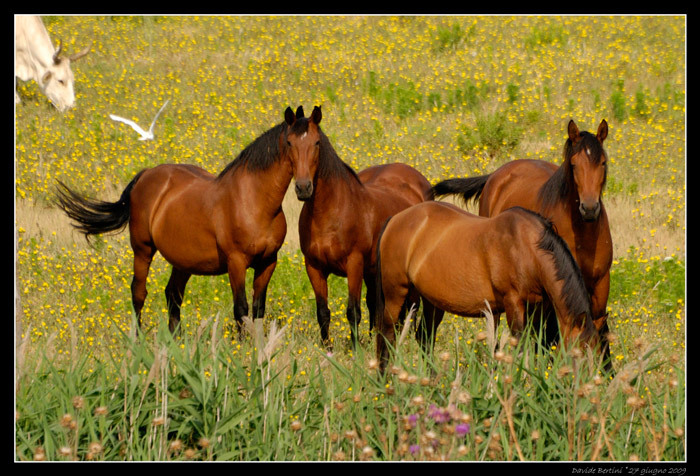 Animals in Italy, in breathtakingly beautiful Maremma. 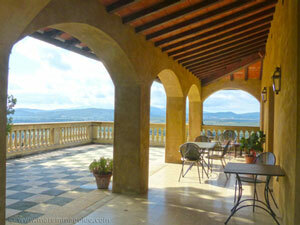 The sheer splendour and variety of wildlife in this very special part of Tuscany and Lazio will amaze you. And better still, because nearly all of Maremma is a national park or protected reserve and home to the last true wildernesses in Italy, when you take a walk or drive through the countryside you will be hard pressed not to see many of these animals along your route. 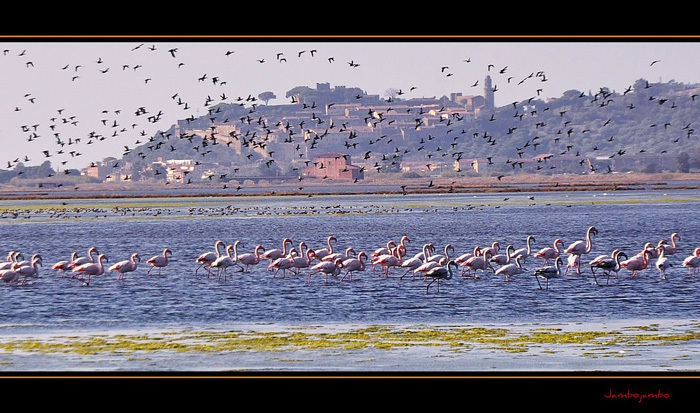 Maremma's pink flamingoes - "fenicotteri" - in the Laguna di Orbetello near Monte Argentario. 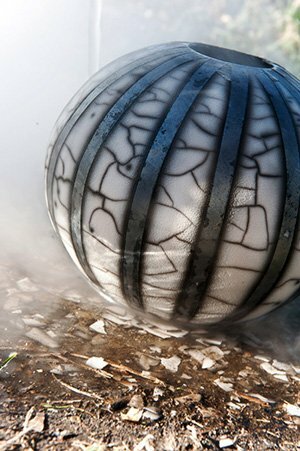 Photo by kind permission of local photographer Nello Ollen Alberti. 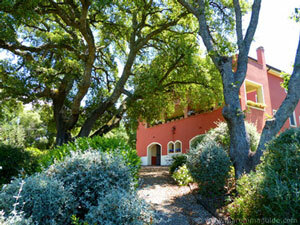 Maremma is a paradise for nature lovers young and old alike. Take a walk out on a weekend afternoon along the shoreline or in the woodlands and Maremma's wildlife and fauna will provide the live nature lesson for free! From wild boar mud baths, to hovering birds of prey, groups of roe deer, a porcupine crossing the road, hermit crabs scurrying under the sand, jellyfish and dolphins. 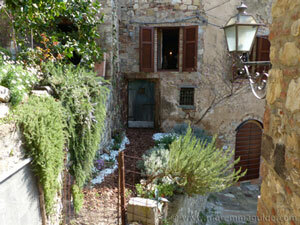 A visit to Maremma makes for wonderful memories. 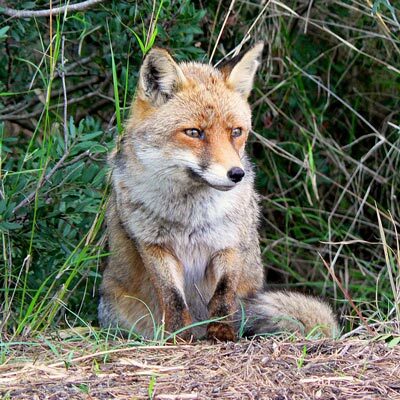 Animals in Italy: a beautiful Maremma red fox - Volpe - taken by alisonhulot in the Parco Naturale della Maremma, Alberese. The wild animals that you will find in and around Maremma's woodlands and Mediterranean shrub lands: they will catch your breath when you first see them in disbelief that you could be so close and then, when you have your eye in on where to look, you will easily spot them again and again. Some of Maremma's wildlife will even sit in the middle of the road for you to see quite unperturbed by your presence! Everything you need to know about the wildlife in Tuscany that you might see. 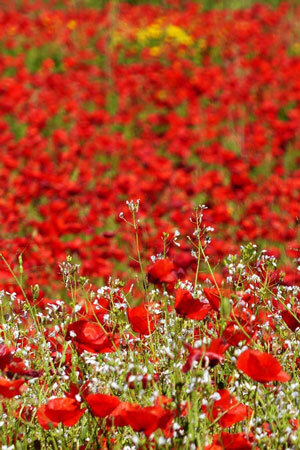 Read more: the wildlife in Italy. Are there bats in Tuscany? Are there bats in Tuscany? 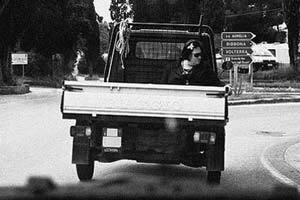 In Florence? Yes there are. But they won't come anywhere near you. Although you may doubt me. You will be happy to see them! If you are lucky enough to do so. 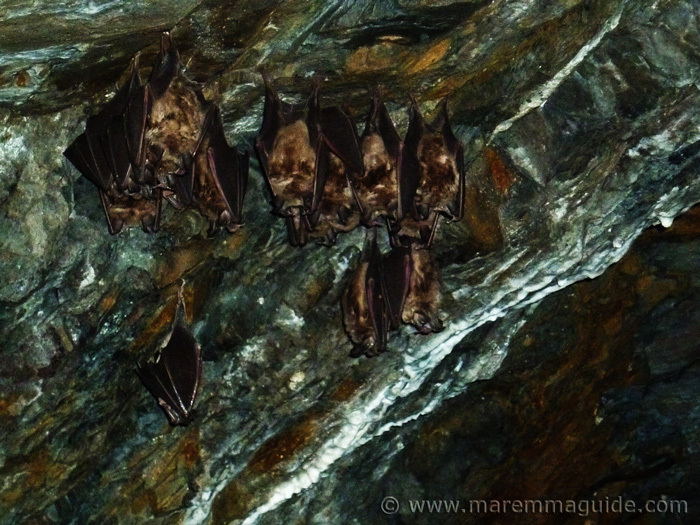 Find out why: bats in Tuscany. Are there bears in Italy? 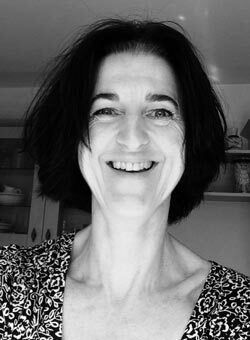 Photo by Malene Thyssen. License. Yes, there are. But not in Tuscany. Italy's indigenous bear is the big but temperamentally calm, berry and insect eating "orso bruno marsicano" - the Marsican brown bear. But. Sadly. Despite showing no agressive behaviour to us humans, this big nocturnal softie with large hands and poor eye sight, is now, because of us, a critically endangered species. Where once hundreds roamed Italy's mountainous areas, now less than 50 - and dwindling - live in one location. In the protection of the Abruzzo National Park. 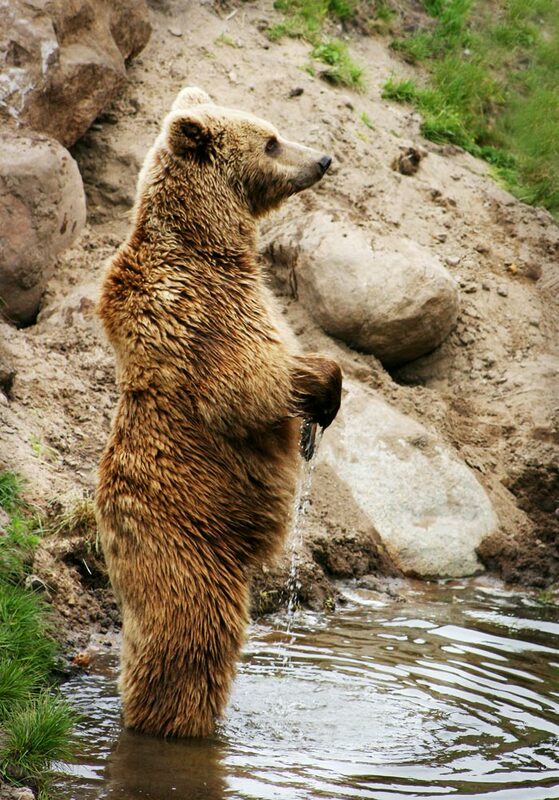 Which is why, this large brown bear is also more widely known as the Abruzzo brown bear. 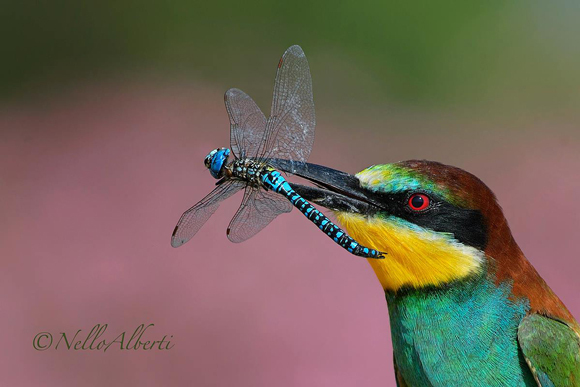 If you are an avid birdwatcher, pop on over to my birdwatching page for the low down on where in Maremma you will be able to spot birds like this "Gruccione" - European bee-eater. Which has caught a "libellula" - dragonfly - this time rather than a bee. 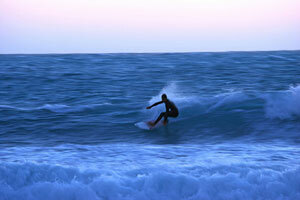 Photo by kind permission of local photographer Nello Alberti. And Tuscany's stunning birds of prey. Birdwatching in Tuscany. Are there snakes in Tuscany Italy? But only a few and only one is poisonous. 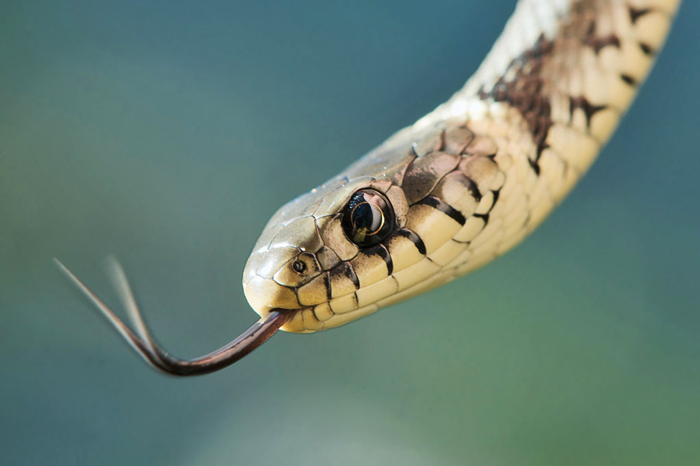 Find out more about them in this page - snakes in Italy. But be forewarned: for those of you who have a fear of snakes (and that includes me!) I've included photographs. Are there wolves in Tuscany? 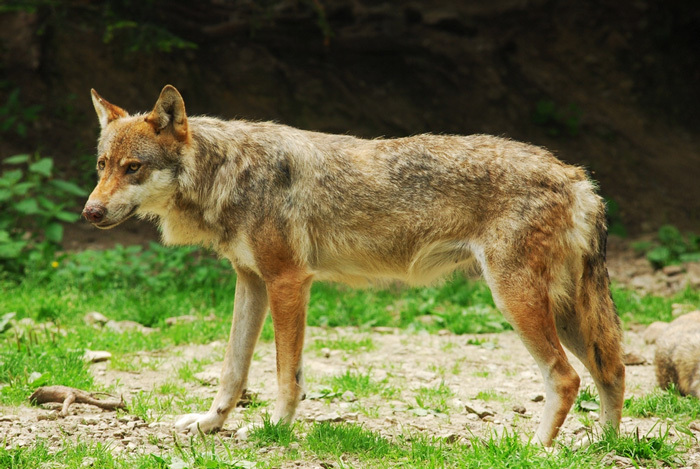 After more than a century of absence, the Italian wolf has returned to the nature reserves and wild woodlands of Maremma. And with its return has come heartbreak and horror. And a controversy that has divided local people. How many wolves there are in the woods around me is difficult to gauge. Even scienteists studying these incredible creatures don't know. As each one walks in line with the others in its pack. In the exact same footsteps as its family member in front of him/her. But I am guessing that, since the first wolf was spotted a few years ago in the heart of the protected woodlands of the Parco Naturale di Montioni near me. That it's numbers have increased many fold. 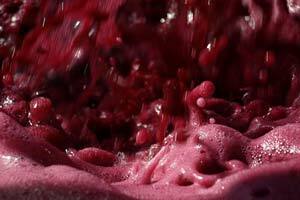 Because, when my husband takes the early hours drive into the hills that connect Maremma with Florence and Siena. Or on his late evening drive back. He is sometimes very lucky. And sees a mother with her cubs crossing the road. Find out more: wolves in Tuscany. Are there poisonous insects in Italy? Yes, there are, but these lovely creatures are the ones that you are most likely to see whilst you are on holiday. But for those of you who want to know anyway, I have included the scary ones you will want to avoid too. The low down on insects in Italy. But, because they are the most asked about: you'll find everything you need to know about mosquitoes, scorpions, and spiders right here too. 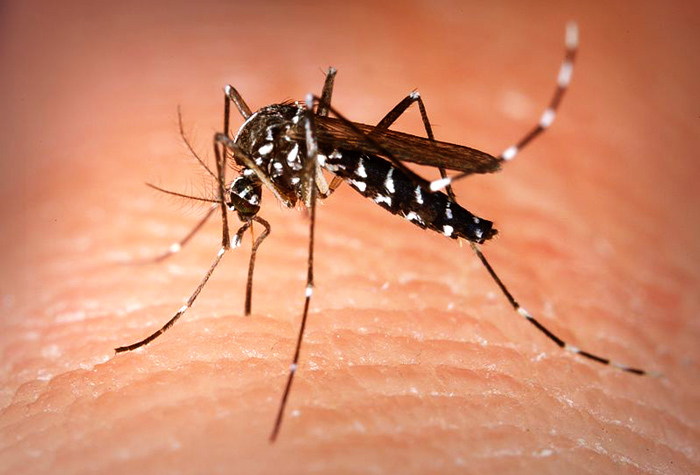 The only insect that you will frequently come across and will want to avoid if you can but you can't, is the mosquito. And as he is such a persistent critter I have written a page dedicated just to him and what to take with you or buy here to avoid being bitten alive. 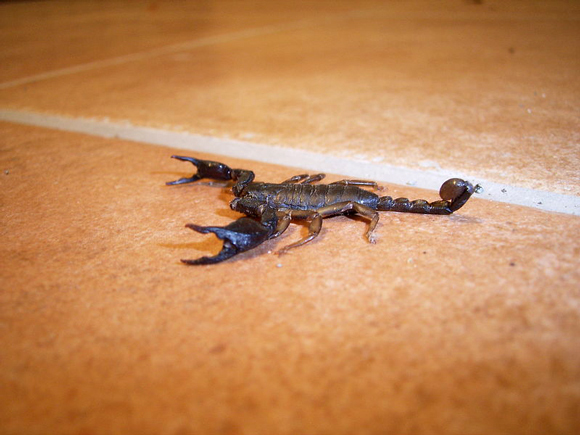 They are small, and they would rather not see you... the scorpions in Italy. The other insect that worries a lot of you is the spider and I have to admit that the big hairy ones do freak me out too. But the good news is that there are only two poisonous spiders in Italy. Neither of which are you likely to come across, nor are they deadly. 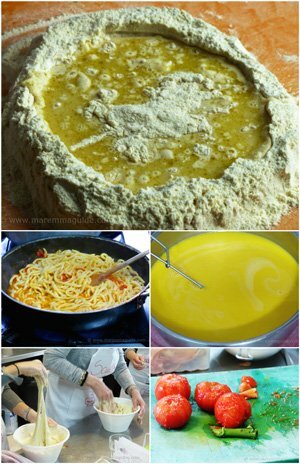 Find out more: spiders in Italy. 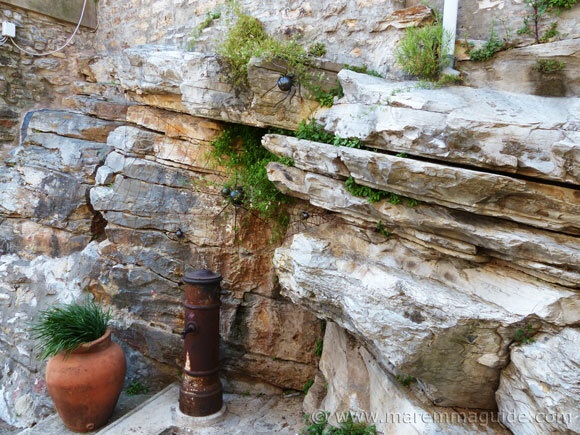 These are in a Maremma hill town called Sassetta. How many can you count? 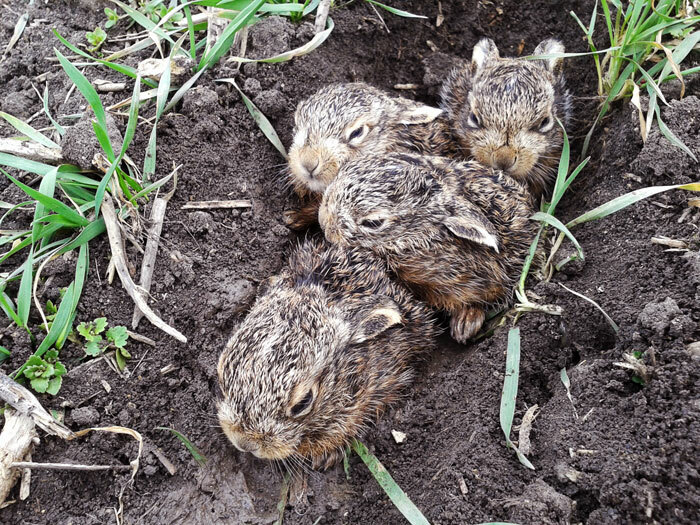 There were four! 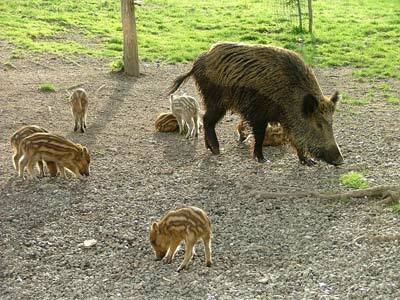 All you could possibly want to know about the wild boar that live in Maremma. 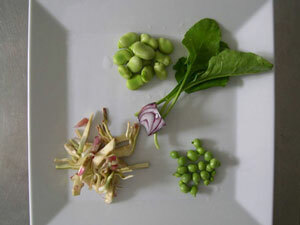 Plus wild boar pictures and wild boar videos from this very special part of Tuscany and Lazio. 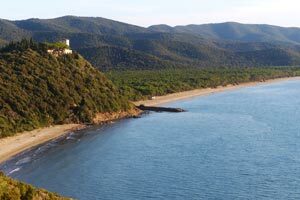 Maremma has a spectacular coastline of long sandy beaches, small rocky coves, protected dune lands, marshes and lagoons. Take a pair of binoculars with you and you will be treated to sights of rare species of birds. The above photo was taken in the autumn in the Riserva Naturale della Diaccia Botrona Castiglione della Pescaia (you can see the town with its historic medieval centre in the background, with the red house Casa Ximenes. But you won't need binoculars to spot Maremma's own prized breed of cattle, "I bovini maremmani". The semi-feral Maremmana cattle that still graze freely the wetlands and marshes behind the coast as they have for centuries. Feet permanently in water and, often as not, a white heron sat on their backs. With their characteristic long black-tipped horns they are the symbol of Maremma. Tended to by the Butteri cowboys, their intense flavoured lean meat is sought after for the world famous "bistecca Fiorentina", the Florentine steak. But, with the pressure for cheap high production meat, their future, however, is as insecure as that of their cowboys. 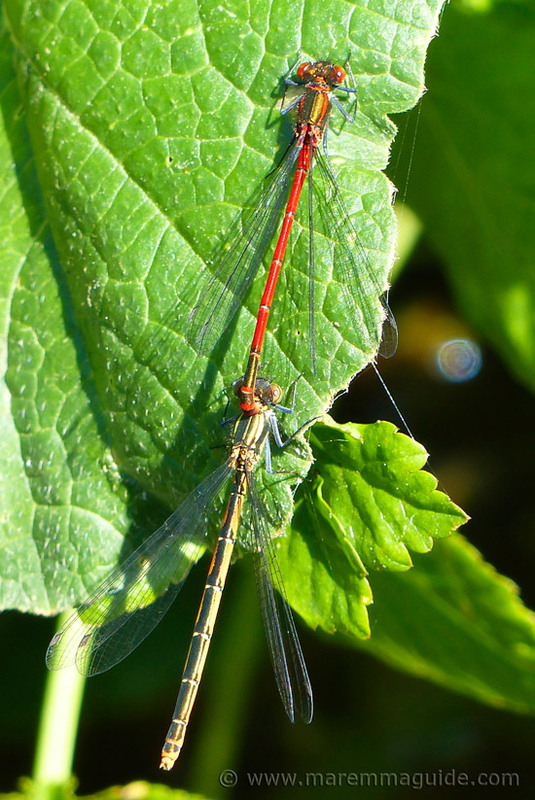 This is an adult female in the Padule di Scarlino. 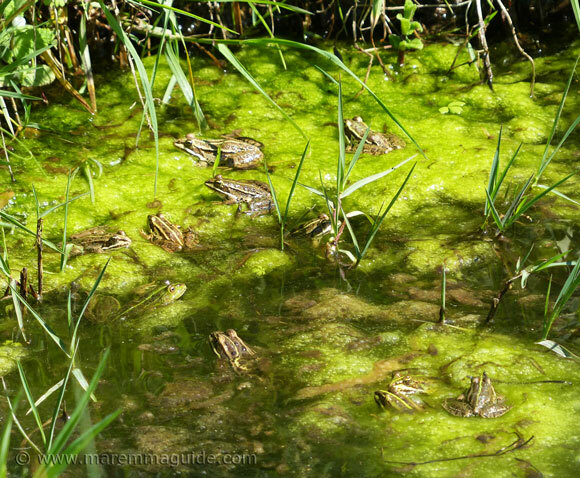 Walk gently through reserves and you will spot indigenous frogs, and shoals of freshwater fish. 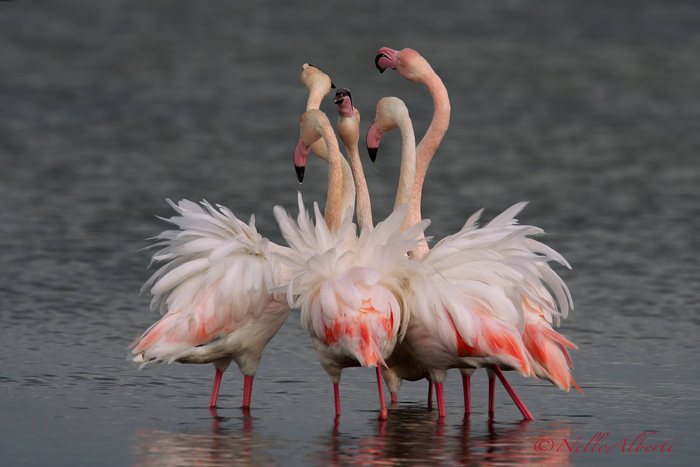 Take a camera and return home with images of flamingos feeding or in flight. 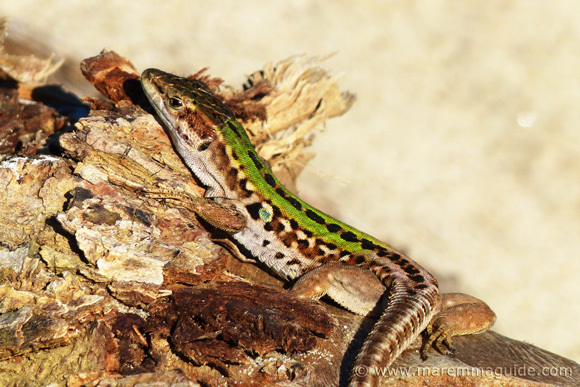 Or of lovely lucertole lizards sunbathing on driftwood in the dune sands. And I have chosen to include this gorgeous gentleman here because, if you are lucky and keep your eyes open whilst walking alongside the dunes of Carbonifera beach in Maremma out of season, you will get to see him collecting material for his drey. 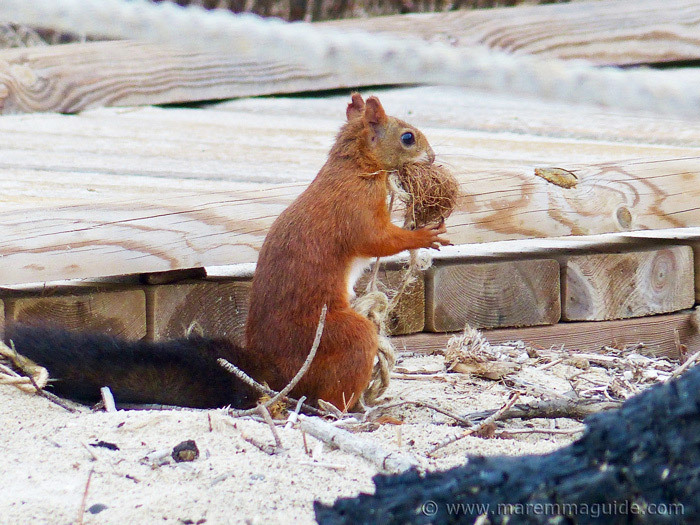 The timid red squirrel, Sciurus vulgaris. You can watch him at work on the beach page. 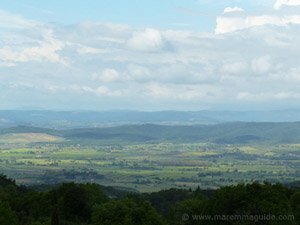 Maremma's western border lies with the Ligurian and Tyrrhenian Seas. Here you will find octopuses, squids, lobsters, dentex, Mediterranean barracuda, sponges, anemones and spirographis, dolphins, and whales. Beautiful red and yellow gorgonian coral reefs and many more wonderful creatures in the waters, underwater caves, and living in her shipwrecks. 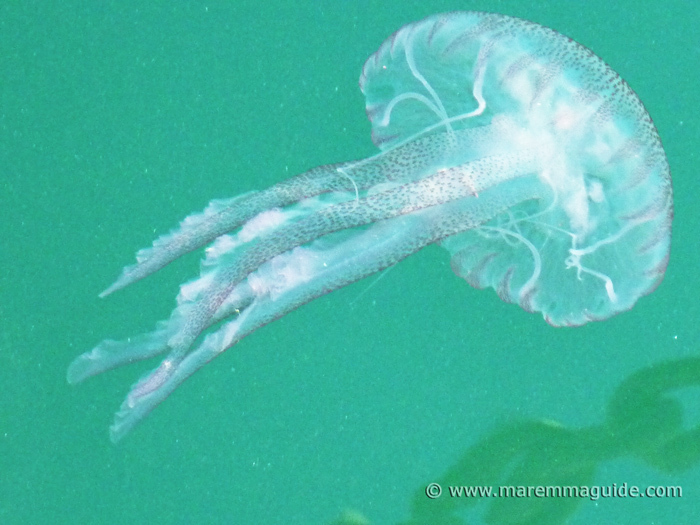 But you don't need to go diving to see many of them: I took the photograph of this jellyfish along the Silver Coast by the fishing boats in pretty Porto Santo Stefano in Monte Argentario. 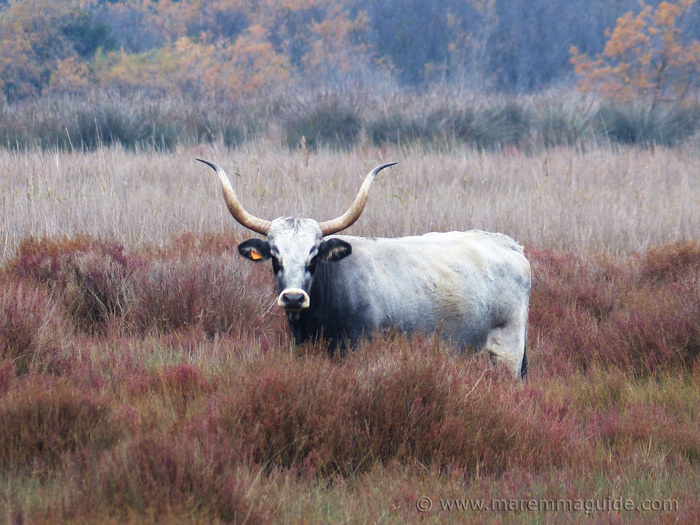 The most common breed of cattle that you will see in Maremma is the iconic long-horned Maremmana cattle that I told you about above. Because they survive. In permanent wet, marshy conditions, where others don't. But find a grassy buttercup type meadow on the side of a hill further inland, and you'll find one of these looking at you as you pass. Wondering what you are doing. 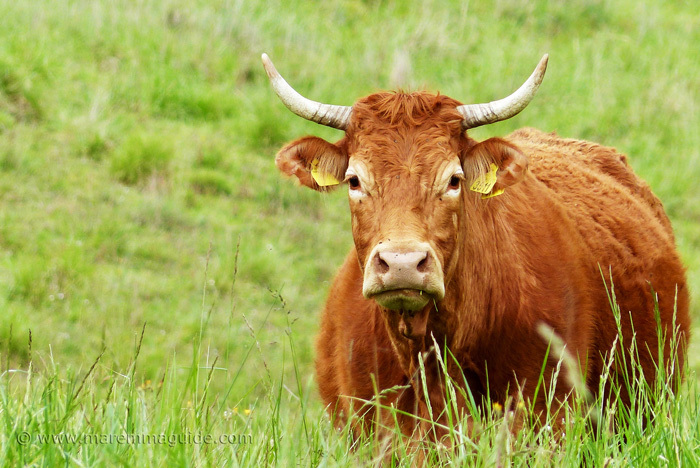 The red-haired Italian cattle breed Varzese-Ottonese-Tortone. Unlike the Maremmana, it is bred for its milk as well as its meet. And the heavy white Chianina. From which the city of Florence's most infamous dish comes: the bistecca alla fiorentina steak. 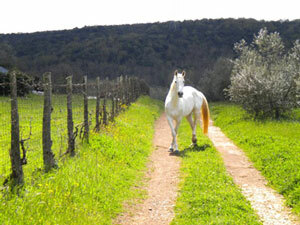 Once running wild in Maremma, the Maremmano horses are an intrinsic part of Maremma's history. Ridden today by the few Butterei - cowboys - that remain (this part of Maremma's tradition is under serious threat of disappearing) they were the horse of choice for herding Maremmano cattle. Find out more and where you can ride them today in Maremma. 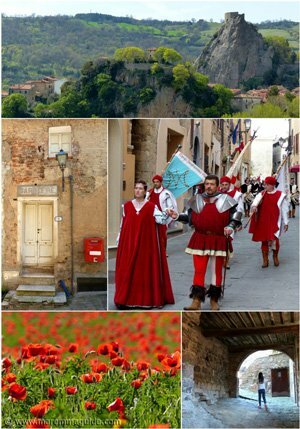 If you are planning a trip to Maremma then why not print out this page as a quick reference to keep your little ones amused or simply to impress them with your knowledge on your drives around - we all know how difficult it is to keep kids happy on a long journey - or whilst you are out exploring on a walk or trek. Fun and strange animal facts for kids.